Many of you will know that Berlin is widely regarded as vegan heaven, so it’s not surprising to hear that there are some exceptional examples of veganised German cuisine. Dr HH and I enjoyed some sensational vegan Bavarian dishes in Munich at Easter 2017, for example. 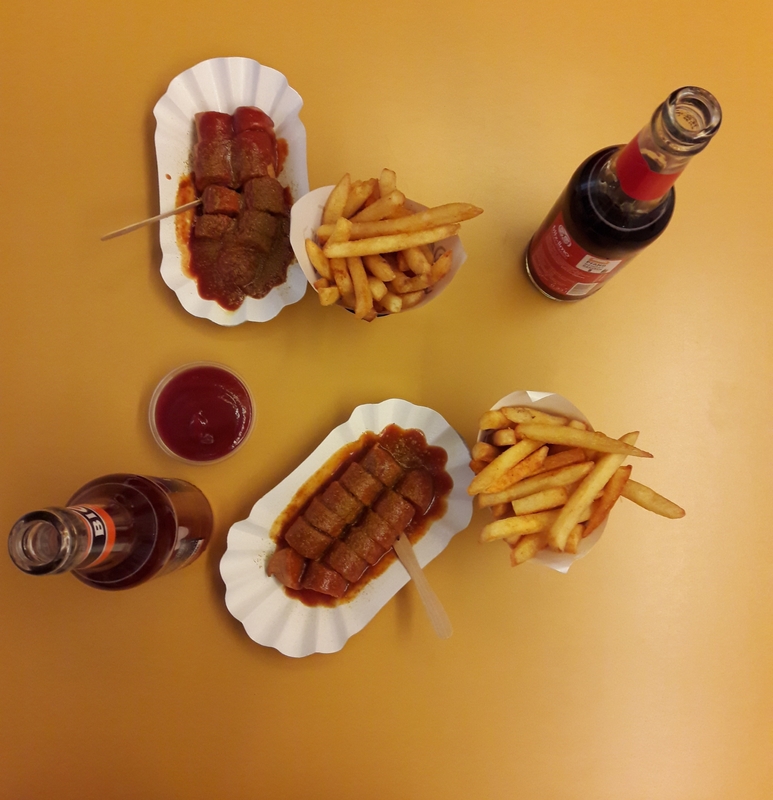 One dish I’d never had the chance to try was the currywurst. Until now! The first time we took a daytrip to Dresden back in 2015 we had Curry&Co down as our backup plan – in the end we were too stuffed from some gigantic burgers. On our second visit, in 2017, we made it our priority. There’s a vegan meal deal available, combining the vegan currywurst and chips. There were several sauces to choose for the sausage, but we just went for the plain old curry one: I got mild, Dr HH got spicy. We both enjoyed the gigantic sausages and loved the spicy heat of the sauce (though I found mine a little sweet). The sausages themselves were like hot dogs, and of course a “real” sausage would have been better, but this was good. And the chips were delicious! (They come in paper cones, which you can balance in little holes in the table.) We were offered ketchup and vegan mayo with them too. They were really crispy on the outside, a very fine chip. All in all: top notch fast food! What German dishes have you veganised and loved? 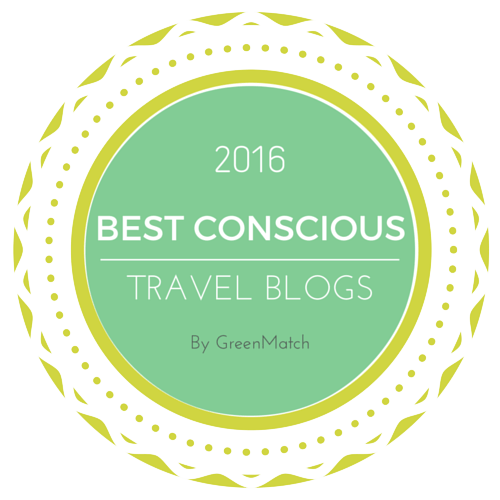 This entry was posted in Travel, Vegan Mofo and tagged Curry&Co Dresden vegan, vegan currywurst, vegan Dresden, vegan travel, veganmofo18. Bookmark the permalink. 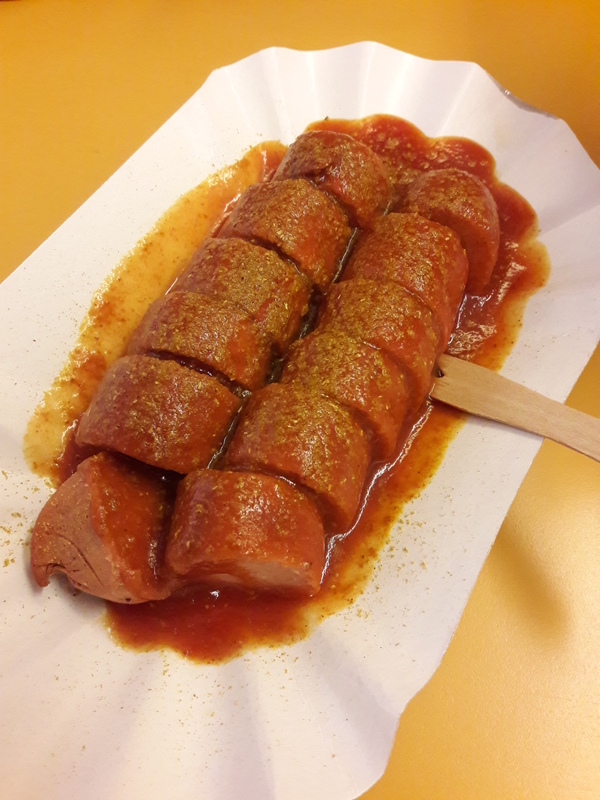 My Husband tried currywurst when we were in Berlin and wasn’t a big fan. I’ve made it at home with better results. There is a Bavarian beer house not too far from my work and they do three different types of traditional sausages all vegan! That’s exciting, I’m not sure I’ve ever seen vegan wurst in the UK! 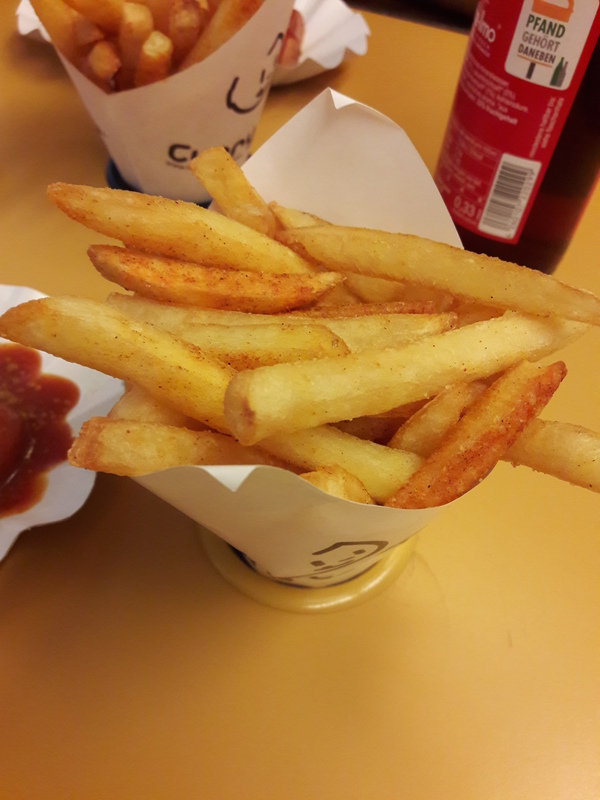 Ohhh, those chips look perfect! Yes! I’m always on the lookout for good chips! This looks excellent! I really enjoyed the link to your Munich post as well. Now I want to try more German dishes. I think the only currywurst I’ve had was a recipe from Seitan Is My Motor — that was really good too. You can always rely on the Germans for excellent vegan options! The food looks great, and that’s cool how the holes in the table hold the cones, what a fun design! Haha, at first we were complaining about the stupid holes in the table – then we got the chips and it all made sense! I had a currywurst and chips in Brighton! It was delicious. I do really want to go to Berlin one day though. I’d heartily recommend it, and not even just for the vegan food!